It’s an uber simple recipe that you can totally do every single day of the year. It helps cleanse your digestive system and gives you a good Vitamin C boost. Turmeric (also known as curcuma) is a real health remedy, immune system booster, inflammation and infections fighter. It is also proven to block the spreading of cancer cells due mainly to its incredible antioxidant properties. 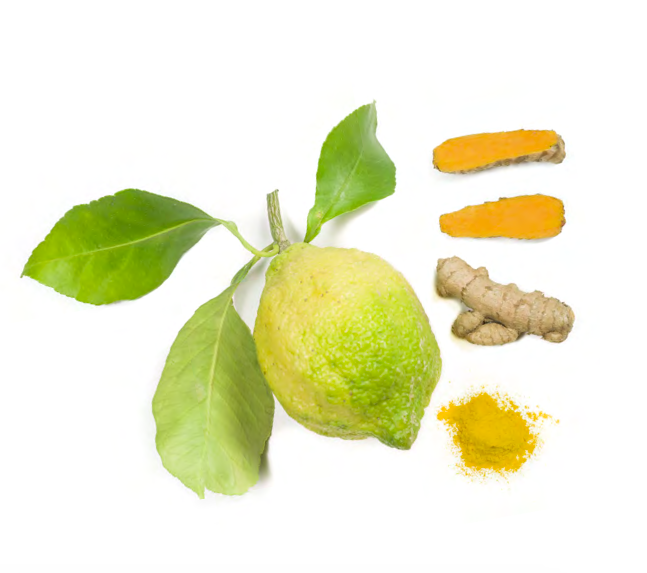 If you don’t like drinking it in the lemon and water, you can use turmeric as a spice in your food. Turmeric (either raw, peeled and mashed) OR in powder (easier to use AND you can find organic ones – but it’s always better to go for the raw and fresh root. I put some water to heat a few seconds, then just squeeze the juice of the lemon in a small glass, add the water and 3 dashes of turmeric powder, or half a pinkie of a mashed fresh turmeric root. Mix it and drink it (with a straw is great) on an empty stomach.